.- Two-tone .925 sterling silver & 10k yellow gold comfort fit ring (solid not plated). 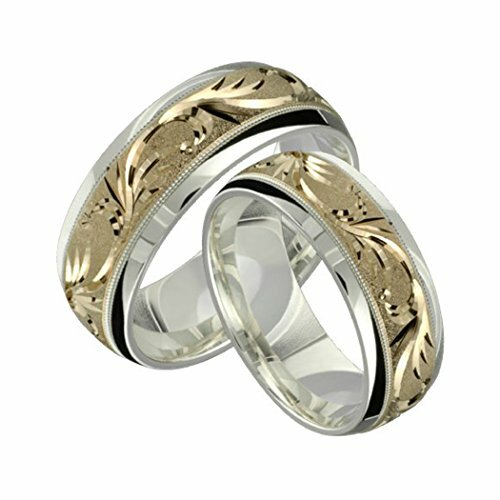 - Wedding band set for him and her . - 8 Millimeters wide two tone wedding band. - Ring width customization available. - All rings are custom made, please contact us for any customization. - Available in 14K, 18K, palladium & platinum. If you have any questions about this product by Alain Raphael, contact us by completing and submitting the form below. If you are looking for a specif part number, please include it with your message.